What Are Consumers Seeing Now In Healthcare Choice? 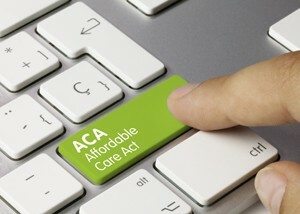 MOUNTAIN VIEW, CA–(Marketwired – Jul 18, 2017) – With the government’s announcement that there are 38 percent fewer health plan rate filings for the 2018 Affordable Care Act (ACA) exchanges, many consumers across the nation will be faced with fewer or, in some counties, no ACA insurance choices this coming open enrollment period. Fewer exchange choices may worsen consumers’ ability to find health insurance that combines an affordable monthly premium with a manageable deductible. Respondents could select from the following options displayed in randomized order: short-term health insurance, Healthcare Sharing Ministries coverage, health benefits insurance, or none of the above. Short-term health insurance is limited duration major medical coverage typically used to fill temporary gaps in health insurance coverage. Healthcare Sharing Ministries plans are not insurance plans but do provide major medical coverage similar to traditional health insurance. Health benefits insurance is a relatively new name for a combination of established insurance products (e.g., hospital, doctor, accident and critical illness) that can offset out-of-pocket costs and lost income by paying a set amount of money when the enrollee experiences covered medical events. Health benefit plans also include additional non-insurance benefits such as telemedicine services and can be used alongside all other forms of health insurance. Based on the poll results — 17 percent of adults surveyed nationwide indicated they were aware of the health benefits insurance category. This was more than twice the number of survey respondents who were familiar with short-term health insurance (7 percent) and over three times the awareness of Healthcare Sharing Ministries (5 percent). Added together, the combined awareness of Healthcare Sharing Ministries and short-term health insurance still did not equal the awareness of health benefits insurance. The full survey findings as well as the survey methodology can be reviewed at Consumer Awareness of Obamacare Alternatives.